GIANT Narrative Writing Bundle - Bump It Up Wall, Editing, Worksheets, Labels! 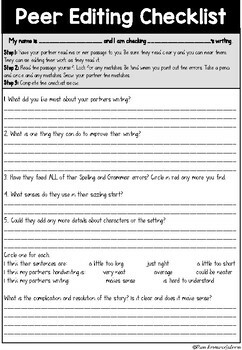 These editing worksheets are an excellent addition to my Narrative writing resources. 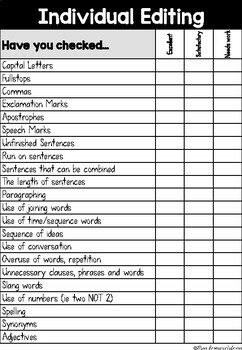 These help both students and teachers! 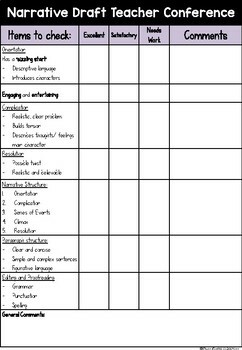 There is a sheet for teachers to use during a conference to help provide valid and useful feedback. 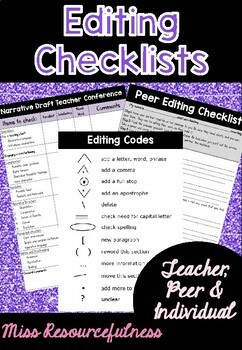 A peer editing checklist and an individual checklist.